Wild peninsulas, rolling hills, and cheerful villages - Cork is one of the most scenic counties in Ireland. I’m biased, given that I grew up here, but I don’t think anyone could deny the fact that Cork has serious charm. Luckily, there are endless options for getting outside and exploring. From mountain tracks to coastal strolls, there are walks in Cork to suit everyone. The Beara Peninsula is home to some of the best walks in Cork and the Allihies Copper Mine Trail is one of them. This marked walking route passes the sites of long-abandoned copper mines and former mining buildings. 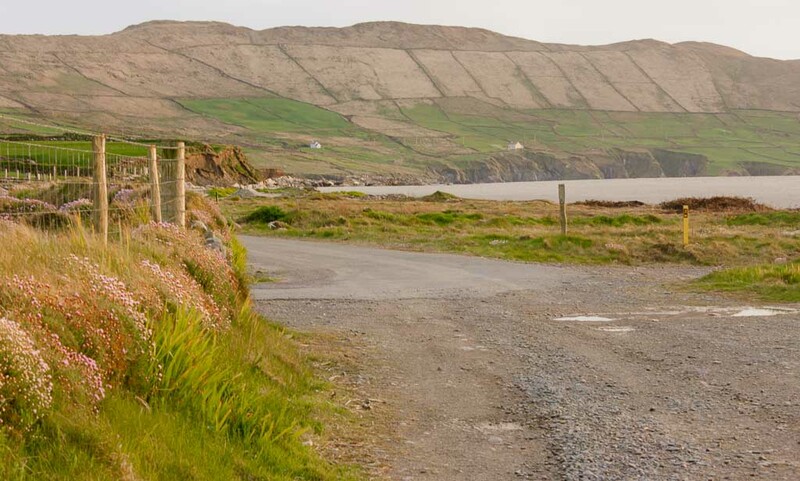 Starting in the colourful village of Allihies, the trail meanders along small roads, hillside tracks, and stretches of spectacular coastline. Start at the Copper Mine Museum in the village, where you can pick up a detailed map of the walks. For the North Engine Loop, follow the green arrows from the museum. The blue and purple arrows are for longer loops and they’re also well worth doing. But the green arrows will lead you past Ballydonegan Beach and over the springy grass of the peninsula, before heading up to the disused Mountain Mine area. If you have time on your way back, the café at Dzogchen Beara is a beautiful place to stop for coffee. There are a few walks around Courtmacsherry, but the coastal loop has some of the best views. Start at the car park near the beach and follow the track leading up through an open meadow. The track passes through peaceful woodland, before bursting out onto the cliffs. Continue to follow the path as it wraps around the peninsula and enjoy expansive views of the sea. Along the cliff path, horses graze in adjoining fields and gorse blossoms add splashes of yellow. There are few wooden stiles to climb over and the track can get muddy, but it’s an easy walk. When you reach the end of the track, you can wander along Broad Strand Beach to the next cliff path. Or for a shorter return journey, turn right and follow the road back to Courtmacsherry Village. If you’re looking for walks around Cork City, the Hop Island path is a lovely choice. A former railway line, it’s now a path that stretches from Rochestown to the pier in Passage West. You can park near the turnoff to Hop Island and follow the path that runs alongside Lough Mahon. If you’re a runner, the smooth, flat surface makes this route ideal. One of the most popular walks near Cork City, the Blackrock Castle Loop is great for runners and walkers. Just a short distance from the city centre, this path has views out over the harbour. Start at the car park near Blackrock Castle. For the first three kilometres, the route runs along the water’s edge. After that, you can either turn and head back in the same direction or join up with what was once an old railway line. After six kilometres, take the exit out onto the Marina, which runs alongside the River Lee. The route will then take you through Blackrock Village, before climbing the hill back to Blackrock Castle. The area surrounding the town of Millstreet is lush and rich in heritage, making this one of the loveliest places to walk in Cork. 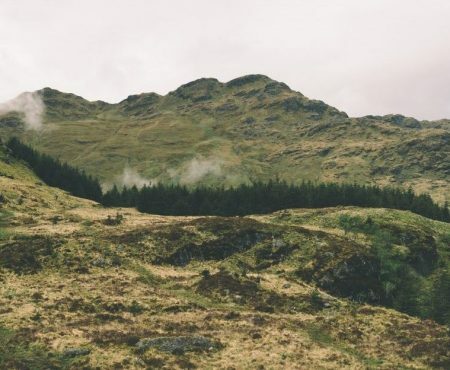 The Claragh Loop is one of the most challenging routes in the area but the varied terrain, spectacular views, and flocks of fluffy sheep make it worth the effort. It can get muddy on the mountain, so wear hiking boots. Leave your car at St. Patrick’s Church, where the walk begins. Follow the purple arrows out of town along the country roads and take a left at the grotto. From there, a quiet country road winds up into forestry, before taking you up and over Claragh Mountain. There’s an option to take a detour to the summit if you have some energy to spare. The trail descends down the other side of the mountain, with great views out over the surrounding countryside. Follow the track back through the fields and through a dense forest, before rejoining the road back to Millstreet town. The Ballycottton Cliff Walk route stretches from Ballycotton village to Ballyandreen Beach. A narrow, well-worn trail winds for over five kilometres along the cliffs. There are great views of Ballycotton Lighthouse and benches along the way, so you can stop and take it all in. If you’re looking for coastal walks in Cork, Ballycotton is definitely worth the drive. It’s at its best on a sunny day and expect to work up an appetite after all that sea air. There are plenty of walks around Cork, ranging from quiet forest tracks to windswept cliff paths. 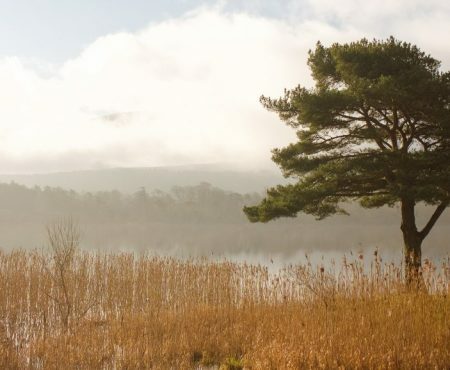 So pack your hiking boots, grab a map, and enjoy this part of Ireland in the best way. 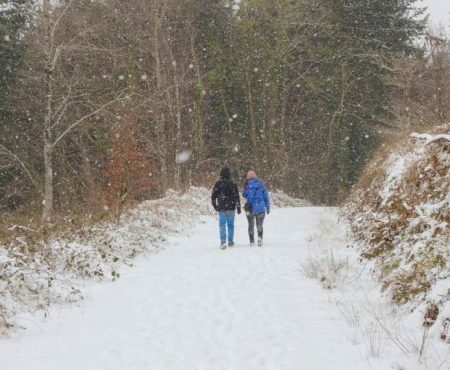 Planning to try some walks in Cork? Not all walking trails in Cork are waymarked, so it’s worth checking the route and distance before you head off. Irish weather is notoriously changeable. Be prepared for rain, wind, and (hopefully) sun. Copyright © 2018 The Idyll. All rights reserved.